Two Shenzhen companies won the top prizes at the Shenzhen Mayor’s Quality Award for their quality management and contributions to the development of the city, sznews.com reported Tuesday. Among the 10 award-winning enterprises, China Communication Technology Co. Ltd. and Shenzhen Energy Corp. won the top awards and each received a prize of 2 million yuan (US$290,326). Shenzhen Capchem Technology Co. Ltd. and Shenzhen Senior Technology Material Co. Ltd. won nomination prizes. 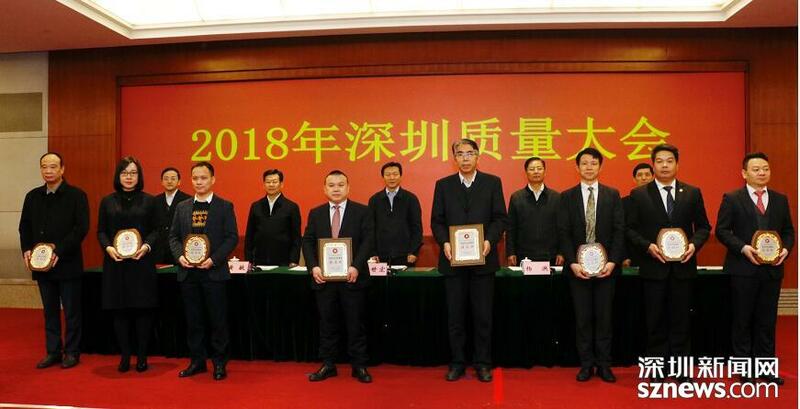 Six companies, namely EVOC Intelligent Technology Co. Ltd., Bauing Construction Group Co. Ltd., Shenzhen New Industries Engineering Co. Ltd., Shenzhen Chuangshiji Machinery Co. Ltd., Suntak Technology Co. Ltd. and Shenzhen Yihua Computer Co. Ltd., were awarded consolation prizes. The Shenzhen Mayor’s Quality Award is the highest quality honor established by the Shenzhen Municipal Government. First held in 2004, the award selects 10 winners annually in order to encourage enterprises to improve services and the quality of products. The award is aimed at commending enterprises, institutions and social organizations for having made outstanding achievements in promoting economic, social, urban, cultural and ecological development and improving the quality of government services. Award-winning companies generally enjoy leadership in the industry and are innovation-driven and high-growth enterprises. The top winners, nomination and consolation award winners receive 2 million yuan, 1 million yuan and 500,000 yuan, respectively.